Register your camper online today! These required forms are to be completed before your child arrives at camp. Read our informational forms to best prepare your child for camp. "Providing a safe, fun atmosphere for campers year round is our specialty. " If your child wants to participate in hockey at Camp Chillin they must purchase a daily or weekly Sharp Hockey Package. All parties must be booked 72 hours in advance with our Guest Services Director! Early-Drop Off: Early Drop off has been discontinued as of September 1st, 2018. New Camp Hours are 7:30AM-6:00PM Monday -Friday. Morning Meetings begin at 9:00AM and include important information for your camper, please try to be present by this time. Late Fees: We do charge a late fee for parents who have not picked up their children during the designated hours. Please note that after 6:00PM we charge $1 per minute, per child. We also ask that you please call ahead if you find yourself running late so that we know when to look for you. Thank you very much for your cooperation, and for helping us run our camp safely and efficiently! Weekly enrollments can be split up and used as single "credited" days. Parents love our money-saving, credited day system because it's flexible and your money never expires! 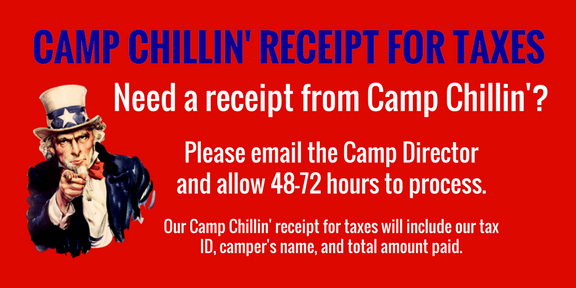 If there are specific dates that you would like to use your "credited" days, please email or call the Camp Director at least 48 hours in advance. These days can be used throughout the year unless otherwise noted. We do offer drop in enrollments which are available each day until camp capacity has been met. Please register online if you would like to secure your child's enrollment for the day/week. Once camp capacity has been met, the online enrollment option for the day will be removed. Call or email the Camp Director 48 hours in advance if you plan to use a "credited" day for your drop in enrollment. Interested in furthering your child's figure skating skills? Private Figure Skating lessons are also available while your child is already attending camp. Please email Jackie Pusztay for pricing and availability. Want to take your child's hockey skills to the next level? Private Hockey lessons are also available while your child is already attending camp. Please email John Loehr for special camp pricing and availability.